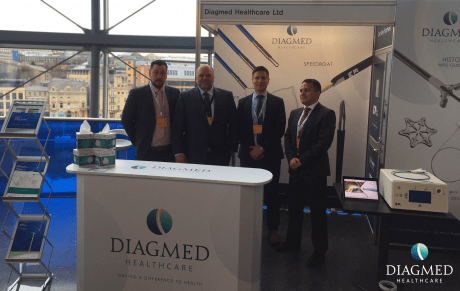 On the 7th and 8th of March we attended BSG Endoscopy Live 2019! The event was a real success for Diagmed with plenty of traffic to our booth and lots of exciting conversations surrounding our market leading portfolio. We had the pleasure of John Koomen, Senior International Sales Manager, from US Endoscopy joining us. The Speedboat device by Creo Medical was a hot topic of conversation, which was head up by one of our knowledgeable Business Development Managers. Furthermore, the discussion surrounding Speedboat was enhanced by the ‘meet the experts’ session, hosted by Dr Zach Tsiamoulos, at 8am on Friday 8th. The talk was aptly titled “Speedboat: The future of ESD?” and touched on the emerging innovative technology. A range of products were used by Professor Bhandari, from Portsmouth hospital, and Dr Amrita Sethi, New York, in an afternoon procedure on the 7th! – The case was a colonoscopy with polypectomy… The clinicians used our market leading Articulator injection needle to raise the diminutive polyp before cold snaring, and then clipped with Viper™ and collected the sample using Roth Net® retrieval device’ and our eTrap™ polyp trap! – Unfortunately, none of this was broadcast live to the auditorium! However, Dr Bhandari was keen to discuss the Viper clips with the clinicians in the room; which created several leads with key doctors. Histoguide™ and Infinity® were intended to be used on Thursday, however the patient was not suitable, the stricture had grown more than anticipated and the decision was made by Dr Nayar & Dr Ramesh to stent the patient. SPOT Ex® was also used, but was not broadcasted live. On Friday 8th Dr. Bhandari performed an ESD and again used our gold standard Roth Net® Retrieval device, off camera. 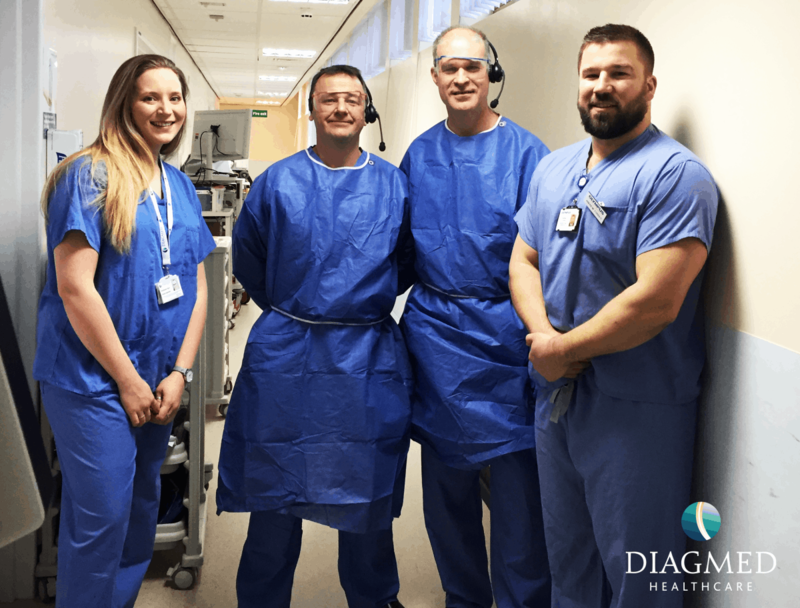 Moray™ was also used in a live EUS procedure by Dr Oppong & Professor Hawes; great results were achieved which were publicised Friday afternoon at the Sage. The diagnosis found by Moray™ was Intraductal Papillary Mucinous Neoplasm which is relatively rare. – If undiagnosed it can progress to invasive Pancreatic cancer! The event provided great exposure of our portfolio and proved the high demand for some of our staple endoscopic products, such as the Viper™ Haemo Clip! – The clip was often referenced by clinicians as the preferred clip of choice over competitors. Our Product Specialists found the two-day event a great opportunity to meet clinicians and discuss how our market leading portfolio is making a difference to health!